The PICO Genesis laser utilizes an entirely new approach to treating pigmented tissues and signs of aging. 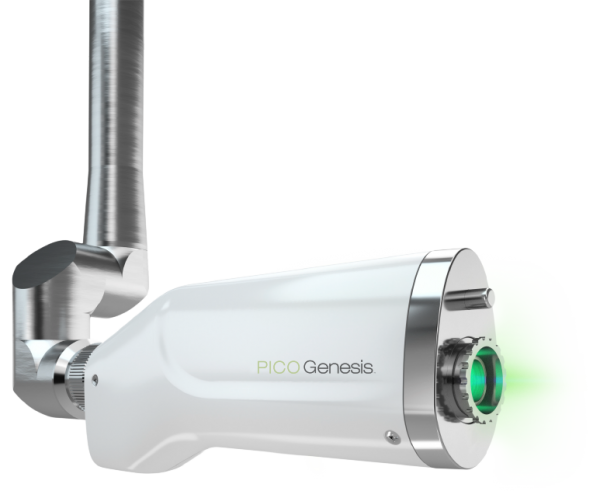 While traditional lasers rely on high-intensity heat energy, the PICO Genesis laser uses a non-thermal laser that doesn’t cause any damage to surrounding tissues. Instead, picosecond lasers – originally created for tattoo removal – destroys the pigment and your skin becomes clearer with a more even, uniform complexion. Dark spots on the skin are often perceived as a sign of aging, like fine lines and wrinkles. Freckles may have been cute as a young child, but now these melanin deposits look more like a side effect of too many days lounging in the sun! Freckles, sun spots, liver spots – whatever you call them, they’re technically known as “pigmented lesions” and they form when melanin concentrates in one area of the skin, usually as a result of overexposure to UV rays. With the most advanced IPL technology, our technicians can safely and effectively treat pigmented lesions with average treatments requiring only 20-30 minutes. Website Design and SEO by PMCJAX.